Another month over, another post about products I've finished. There are a few included that I have reviewed a few times on here, so I will just link them to some earlier reviews instead of repeating myself. First up - a confession. I'm probably the only person in the blogesphere that doesn't know what the big fuss is about Clarisonic. I got a Clarisonic Mia a couple of months ago and I've been using it religiously, but in all fairness, I just can't see what it does to my skin. My skin isn't clearer, my pores are still clogged up, nothing has really changed to be honest. I don't hate it, but I do wonder what on earth I spent all the money on. Okay, there, I said it. Let the stone thowing commence. Right, onto the products. I got this cleanser with my Clarisonic and I didn't like it. Luckily it was only a small sample, so I used it up, but it smelled funny and it did nothing to my skin. Won't repurchase (I don't even know if you can). See what other products I finished after the jump! While we're still at Clarisonic and cleansers, there's another trial size one I finished (also used it with my Clarisonic), and this one is Benefit Foamingly Clean facial wash. It does what it says on the tin, I mean tube, it foams and cleanses. It has quite a strong scent, but it's not unpleasant (not like the Clarisonic cleanser) and if anything it foames a bit too much when used with the Clarisonic. Otherwise, I don't know what the full sized products packaging is like, but the little one was a pain, I had to squeeze really hard to get some out and eventually I cut it up to get the remaining bit out as the tube was just too stiff. I'm not planning on buying this, but I have another sample to use up. Next up is a big time favourite that I've just reviewed in my 2011 Favourites post, so please if you click on the name, it will take you straight there. It's the Mac Volcanic Ash Exfoliator and I love it very much and would definitely repurchase if it was still available but it was limited edition, so boohoo. I do have about 6 back ups though. Next up another favourite and something I have reviewed before, Collection 2000 Illuminating Touch Concealer. 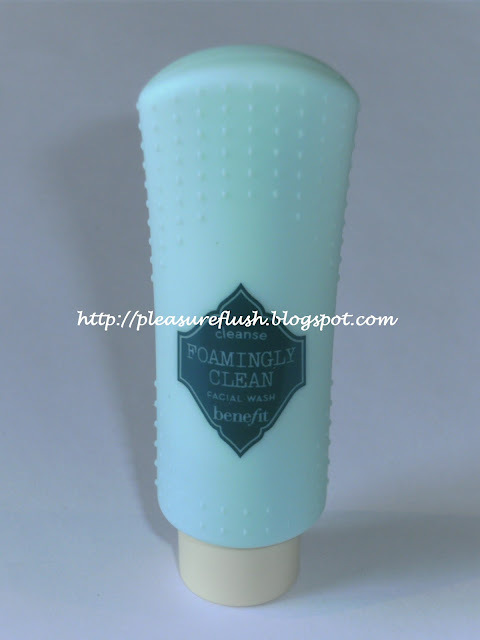 Will continue to repurchase as it works really well for me. I don't have a picture for the next product and it's not even a review, but I just wanted to say that for the first time in ages and ages I actually ran out of something without having any back ups in the house! I used up the last cotton wool pad and started looking for another pack only to find there were no more in my bathroom cupboard! O.M.G.! I actually had to go without for a couple of days, although thanks to my eldest daughter's crafty tendencies I did find some cotton wool balls in the arts & crafts drawers, so I did manage to wash off my make up but I hate the feel of cotton wool balls, so I was happy to get back to using my pads. 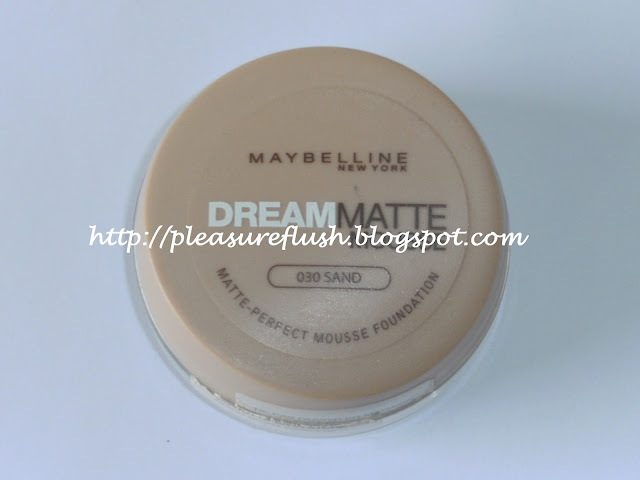 I also used up my Maybelline Dream Matte Mousse Foundation which I grew to like a lot more after I reviewed it earlier last year. It's probably better in the winter than in summer, but also my skin is less oily nowadays, so it worked for me really well in the last couple of months. I might repurchase as I only have half a bottle of Maybelline Dream Satin Liquid Foundation left as a cheap foundation (which I don't like), although that said, the 17 B.B. cream works very well for me too, so maybe not. We'll see. It is good though and at £7.69 it's really affordable. The next product I didn't actually finished, I got fed up and threw out is the better phrase for it. This si the second time Nails Inc has failed me, first it was their base coat, now the Kensington Caviar topcoat. You can see from the picture below that it still had over a third of it left, but the brush is too short and the polish went all gloopy, so it was next to impossible to scoop out any more. Big fat fail. As far as I'm concerned, I'm done with Nails Inc's top and base coats. I also finished another bottle of Sally Hansen Strengthening Polish Remover which I've already reviewed here, so please check it out. I'm happy with it and will continue repurchasing it. Last one is another trial size product, but it's quite a big size at 7 ml, so I thought I'd include it. 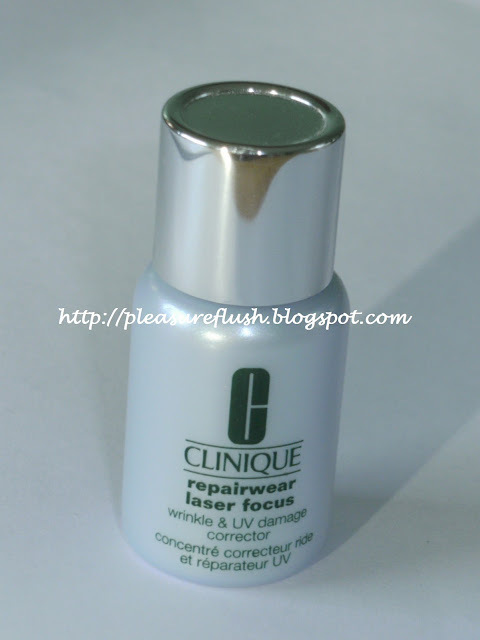 Clinique Repairwear Laser Focus Wrinkle & UV Damage Corrector promises to "visibly reduce lines and wrinkles whilst repairing UV / Photo damage to the skin and improve texture for a smoother, younger looking appearance. Prevents future damage and encourages cellular repair, promoting healthy elastin and collagen in skin." (Words taken from the Debenhams website.) Now obviously I only used it for a few weeks, so it's a bit hard to say if it works, but I really didn't see any difference to my skin even after using it for a while. At 35 I don't have a lot of wrinkles, so I really can't say if it reduced them, and in general it didn't really do anything. There are a lot of raving reviewes of this on the Debenhams website, but at £38 for 30 ml I just can't recommend it. Okay, well, that's it for now, let's see how many products I can finish in the new year! Where can you buy the Sally Hansen varnish remover? I've never seen it before!! I bought mine in Boots or Superdrug, can't remember, but I'm pretty sure it's available in both places. great post, may have to try the sally hansen stuff. And i know what you mean with Nals inc, i cant get the last out of mine, but i have re-purchased their top coats as its the nest ive come across, dries in seconds! I've always been really into make up, and about 6 years ago I got into high end make up and my collection grew to a massive size. My favourite brands are Guerlain, Dior, Chanel, Urban Decay and Mac, but I don't say no to drugstore/high street brands either. Now more of a nail polish than make up addict, I'm expanding my blog to nail polish posts as well. You can contact me with questions, request, offers, etc. at pleasureflush@yahoo.co.uk. Click on the birdie to follow me on Twitter! Where Did My Eyelashes Go, RapidLash? Updated Blog Sale Now On!